It's not much time for the Valentine's day and these occasion includes lot's of deals for girls. Of-course the ladies expect their boy-friends to gift them with gifts. Pink is color for girls as we know it's their favorite. 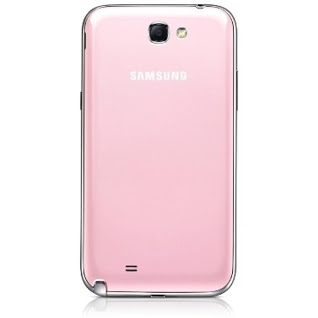 Samsung got a deal for people looking to gift their girlfriend with expensive pink color Note II. It's not officially announced but it's reported it appear on Samsung Taiwan website. It's same as the Samsung Galaxy Note II which launched last year. It offers 5.5-inch Super AMOLED HD display, a quad-core Exynos 4412 processor, 2GB of RAM, and 16GB of storage that’s expandable via microSD card. There’s also LTE and NFC, an 8-megapixel rear-facing camera, a 1.9-megapixel front-facing camera, a 3,100 mAh battery and S Pen stylus. However it appeared on Taiwan website the status of other website remains unknown as it's not much time left for Valentine's day, just one week left. 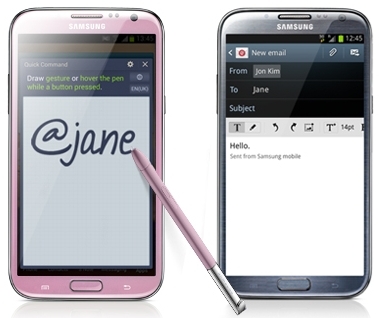 Samsung Galaxy Note II is one of the famous smartphone available today, its powerful. So does keep it in the mind this could be the option for your girl-friend.